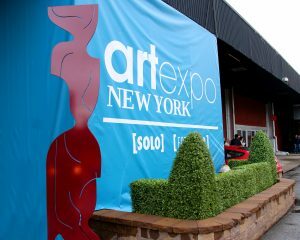 It’s the last day at Artexpo New York 2017—and we’re here until 3 p.m.! 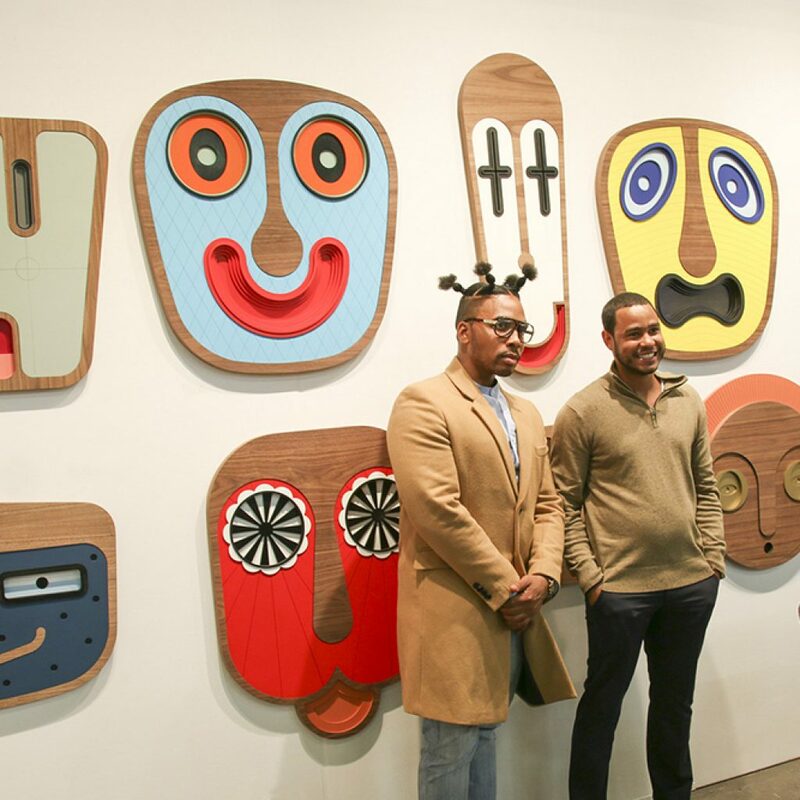 Haven’t been to Pier 94 yet to check out all the amazing artwork? 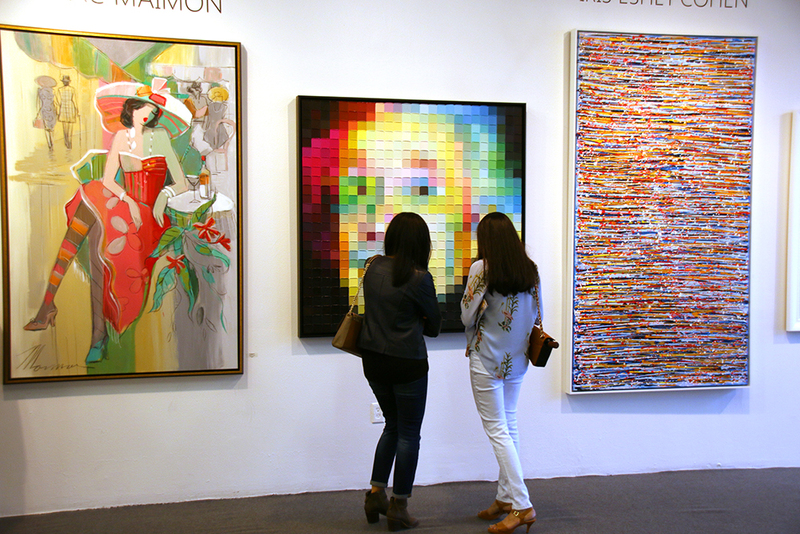 Good news: We’re offering half-price admission for the final day of the show, so $10 gets you in the door. Plus, it’s Wrap It Up Day—we’ve got a complimentary wrapping station for all your purchases, so you can shop the endless selection of art treasures and rest assured that they’ll be packaged with care for their journey home. 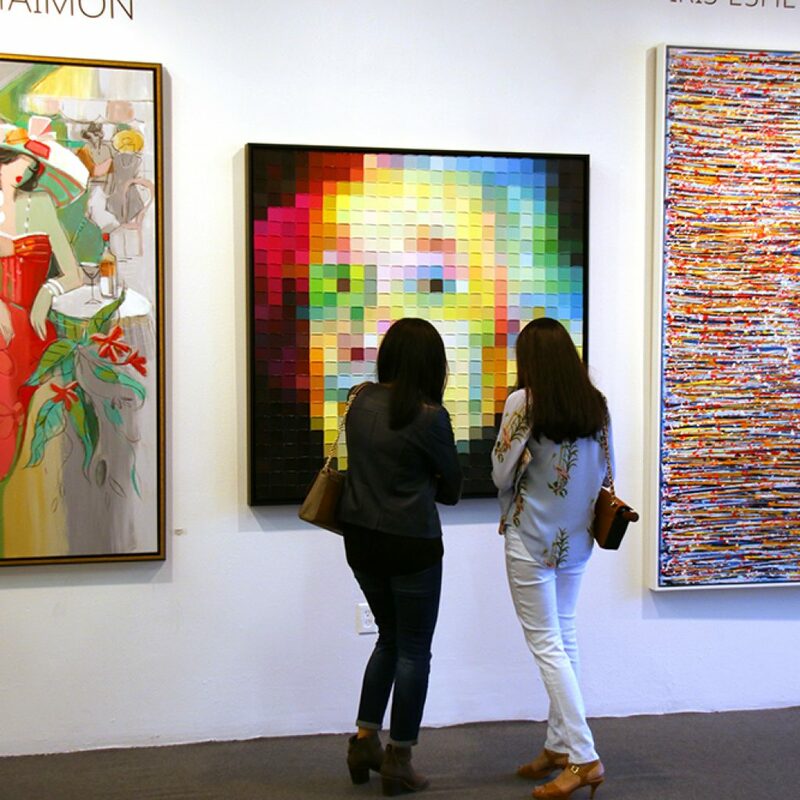 Get tickets now for Artexpo 2017’s final hurrah! 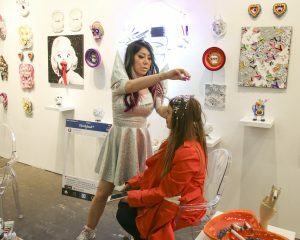 Artist Orange Li discusses her work with an attendee. 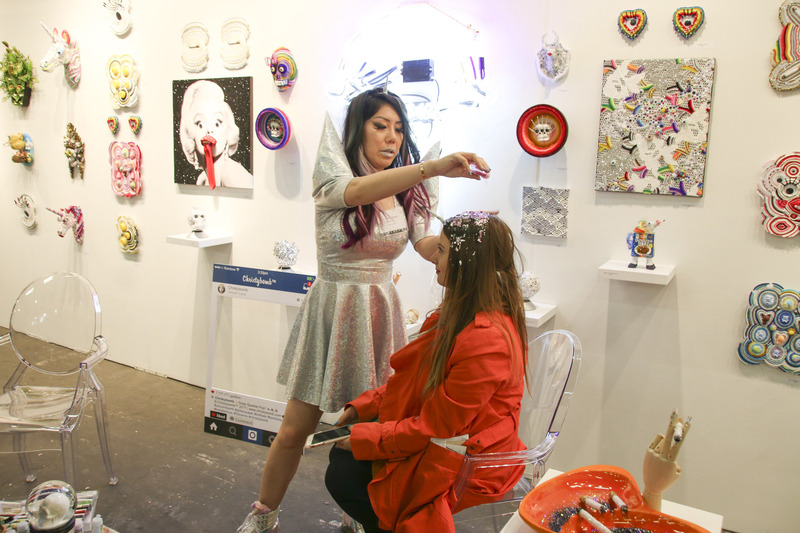 Step into sparkle and whimsy at Christybomb’s booth. 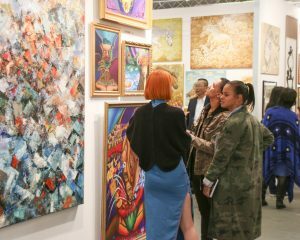 Yesterday was another bustling day at the show, as attendees came by the thousands to see live art demos, Art Talks, and, of course, the work on display from over 1,000 artists from around the world. 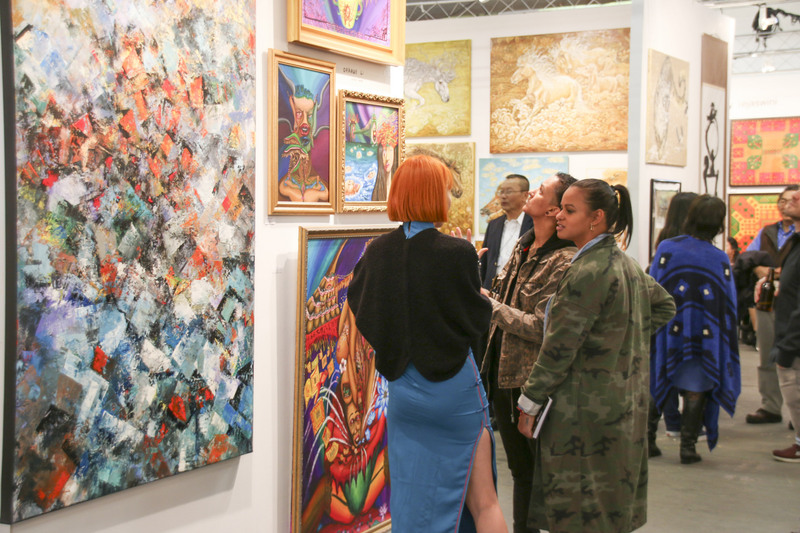 Showgoers enjoyed innovative artworks in every form and style, from Christybomb’s glittered unicorns to Takeshi Sato’s paint-roller masterpieces, from Naomi L’Abbate’s powerful sculptures to Mary Johnston’s vivid yet peaceful contemporary landscapes. Check out the video highlights from Sunday here! 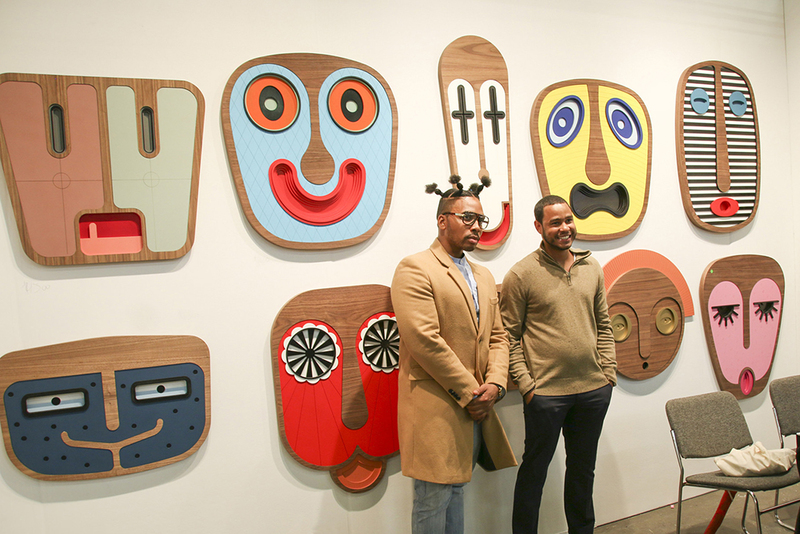 Showgoers pose by the work of Tzachi Nevo of Urban Masquerade. Surveying the work on display at Smart Publishing and Blue Gallery. 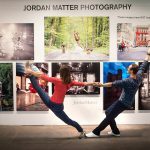 [FOTO SOLO] exhibitor Bay Photo Lab. 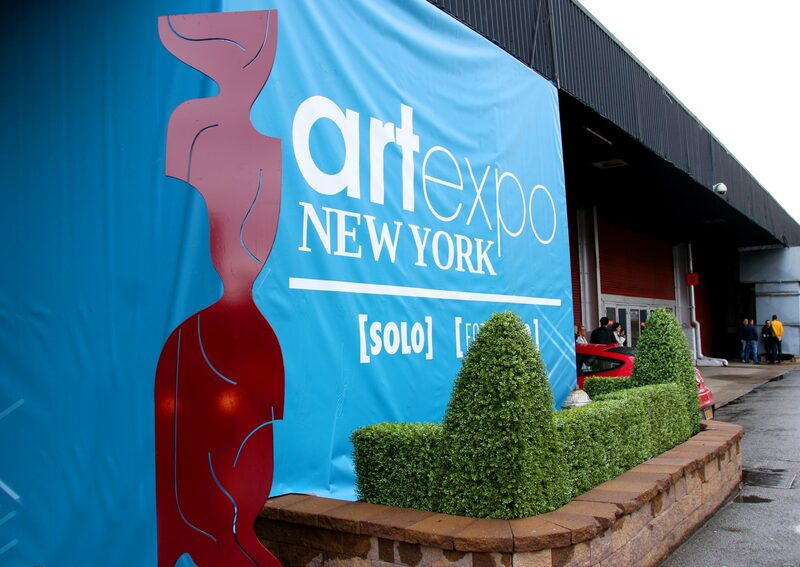 We hope you’ll catch the last day of the show today. 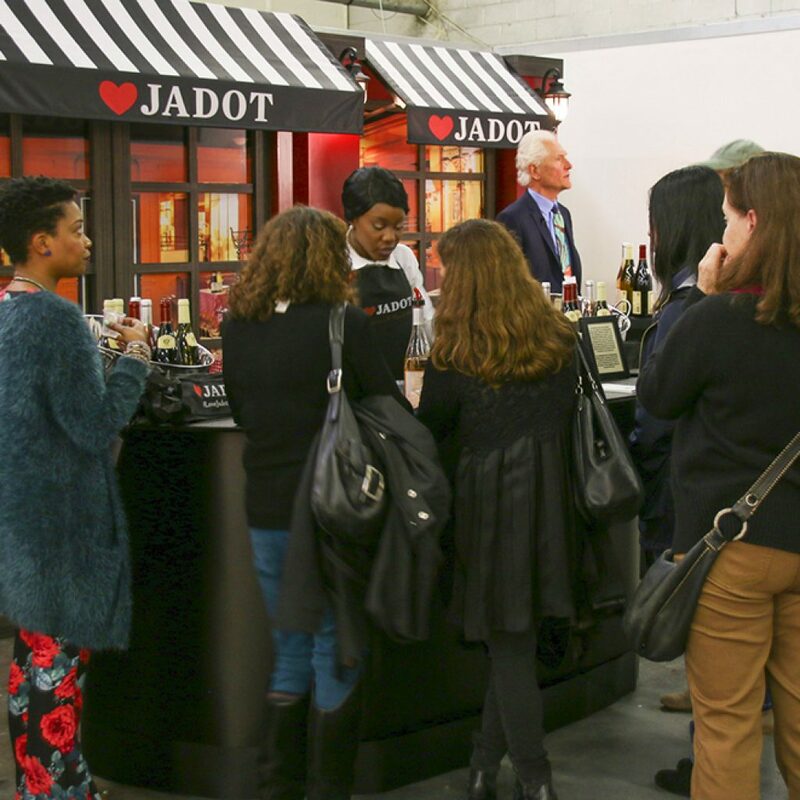 Grab a glass of Louis Jadot wine and survey the myriad booths as you search for that perfect piece to take home—then get it wrapped up at no charge on your way out. 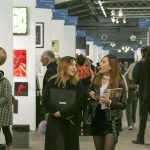 Want to scope out some show pics before you go? Follow us on Facebook, Twitter, and Instagram for all the latest. We’ll see you soon! 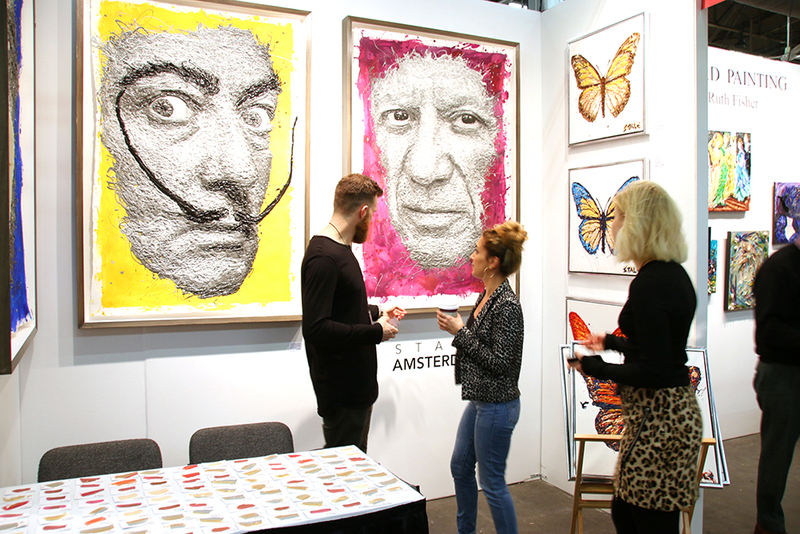 Contemporary artwork from Stale Amsterdam. 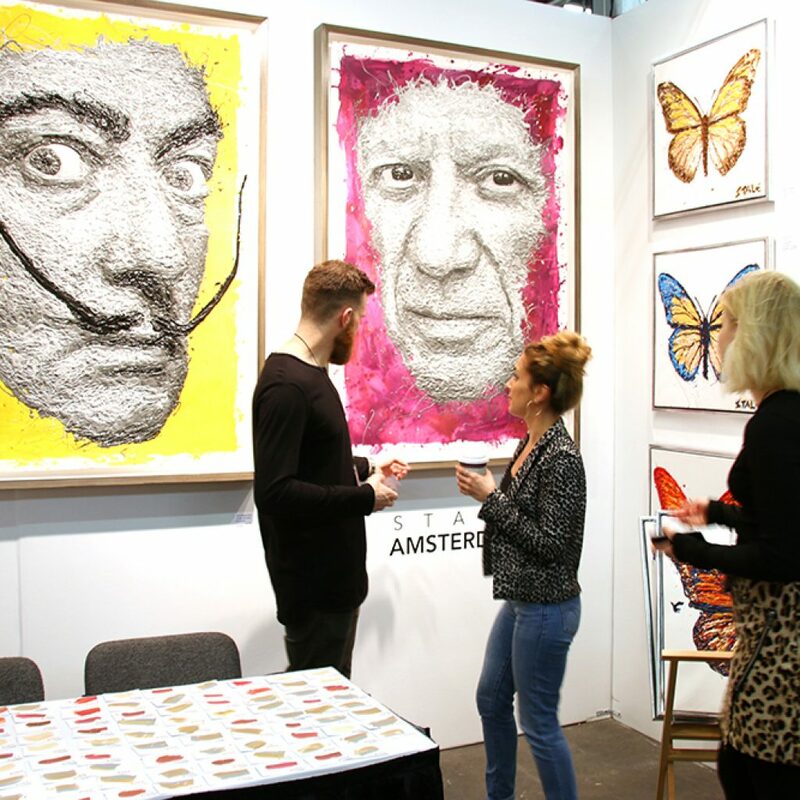 Artsynergism by Garsot & Helen Kagan in action! 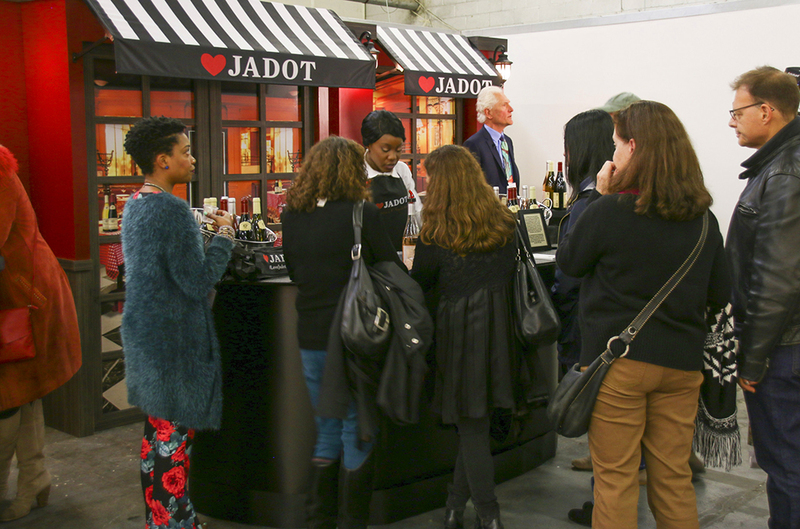 A pop-up bistro by show sponsor Louis Jadot Wines.